"An Act Relating To Prohibiting The Use Of Food Crops For The Genetic Engineering Of Drugs, Industrial Chemicals And Other Non-Food Materials"
Good afternoon, my name is Dr. Robert Drotman. I am an employee of Frito-Lay North America, located in Plano, Texas. 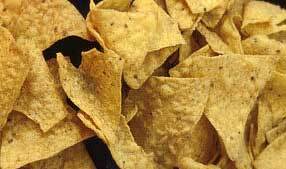 Frito-Lay is a member of the National Food Processors Association, the principal scientific and technical trade association of the food processing industry. I am also Chair of NFPA's Regulatory and Scientific Affairs Council, which is responsible for developing positions on regulatory and scientific matters important to the food processing industry. I am pleased to be able to address this Committee and to discuss our strong support for bill HB 3387 - legislation that would help prevent the food supply from contamination by plant made pharmaceuticals or industrial chemicals - which are not intended to be in our food. We believe that the use of food or feed crops for production of drugs should not be permitted. However, if they are permitted there must be a 100% guarantee that there will be no contamination of the food or feed supply from these compounds. So, the only acceptable outcome for this issue is a guaranteed zero percent contamination of the food supply and currently the only way to achieve this is through using non-food and non-feed crops. Frito-Lay is a multibillion-dollar Texas company that provides a variety of safe, nutritious and wholesome foods to Texans, citizens throughout the U.S. and to consumers worldwide. Corn is one of the main ingredients in many of our products and we have many safety and quality control measures in-place to ensure the ingredients we use are of the finest quality available. We use over 24 million bushels of corn per year in our products. We also manufacture about $1.1 billion dollars worth of products and employ approximately 7,800 people in Texas. As you can imagine, any disruption or contamination of this supply would have a significant negative impact on our ability to manufacture the food products our customers know and expect us to provide. In the event our corn supply becomes contaminated with PMP corn - regardless of how small, such corn would be deemed adulterated and we could not use it to produce Frito-Lay products. Consequently, the entire food chain would be impacted by such an occurrence and the economic cost to the Texas food and agriculture sectors would be considerable. For example, the major disruption that occurred due to the corn supply being contaminated by StarLinkTM corn in late 2000, caused many problems for companies manufacturing corn products including product recalls, massive testing programs, product reformulations, lost sales and Brand Name and category harm due to the association with corn foods and corn based snack products. The risk of contamination to the food supply from drug-producing food crops is simply too great and I predict would be much more devastating. As I alluded to above, the food industry has learned the seriousness of these types of errors through our experiences with commodity products such as StarLinkTM corn, which was not approved for human food. As a result of this contamination incident, which the industry is still dealing with, there have been somewhere in the area of 600 product recalls and brand name damage that has cost the food industry hundreds of millions of dollars. We cannot afford to have a repeat of this food chain contamination disaster, especially with plant made pharmaceuticals. HB 3387, sponsored by Representative Lon Burnam, was introduced on March 13 and referred to the House Agriculture and Livestock Committee on April 1. The bill prohibits the use of food and feed crops for the genetic engineering of drugs, industrial chemicals and other non-food materials. The key impact of this bill for us is to allow the further development and advancement of medical drug production in plants but to restrict developers from using genetically modified food crops that may somehow end up in the food and/or feed supply - affecting our products or any corn product and subsequently the food on your tables. We do understand that there are additional federal regulations being developed and implemented by the US Department of Agriculture, however, we strongly feel those USDA regulations may not go far enough to protect the food supply from the possibility of inadvertent contamination. We need an absolute 100% assurance that the food supply will not become subject to the presence of medical biologics or industrial chemicals that are not intended to be in foods. The only sure way to achieve this is to prohibit their generation in feed and food crops. In the absence of preventive measures to assure 100% prevention against any and I repeat, any contamination from occurring, food and feed crops for PMP production must not be allowed. In addition to the StarLink incident, we have already seen a near mishap with corn that was being used to generate a pharmaceutical. This occurred late last year with a company called ProdiGene, where several million dollars worth of soybeans (500,000 bushels) had to be quarantined and destroyed because of contamination by corn that was used to make a drug. This near miss shows the vulnerability of using food crops to produce drugs. In summary, Frito-Lay supports this legislation as a means to allow the science of plant-made-pharmaceuticals to progress in appropriate crops, but not in food crops. We strongly believe that developers using genetically modified plants that produce drugs grown in Texas must, at the very least, be subject to mandatory regulatory oversight that is directed to preventing any adulteration of the food supply and they have production practices necessary to ensure there is no chance of contamination of food crops. We are required to meet FDA's zero tolerance for material in food not approved for food. Anything less than a 100% guarantee against any contamination of the food supply by pharmaceutical, industrial chemical, or other non-food materials is unacceptable. Any adulteration of the food supply could expose us to unwarranted, serious risks not of our making or within our control. Consequently it is our position that if 100% prevention against adulteration is not achievable, food and feed crops must not be used in the production of pharmaceuticals, industrial chemicals, or other non- food materials. That is why we have chosen to support HB 3387. In addition to the testimony Mr. Chairman, I am also submitting a copy of NFPA's comments on the issue of PMPs and industrial chemicals submitted to FDA on February 6, 2003 in response to Docket 02D-0324. Guidance for Industry: Drugs, Biologics, and Medical Devices Derived fro Bioengineered Plants for Use in Humans and Animals, 67 Federal Register 57828, September 12, 2002. The views contained in these comments reflect the positions and points made today. We appreciate this opportunity to present our views to the Committee today. Washington, D.C. - Pioneer Hi-Bred International is under investigation again for its management of field trials of genetically engineered corn in Hawaii. The Environmental Protection Agency fined the Des Moines-based company $9,900 last year for planting a test plot of biotech corn too close to a seed crop and ordered the company to test the seed corn for genetic contamination from the experimental plants. The EPA said Wednesday that the testing turned up contamination from a second plot. The EPA also announced that Pioneer had been fined $72,000 for failing to report its test results within the required 24 hours. EPA enforcement officer Amy Miller said there was no risk that the food supply was contaminated, because the plants that tested positive for the biotech gene were destroyed before pollination. However, Greg Jaffe of the Center for Science in the Public Interest, a private advocacy group, said the case raises questions about federal oversight of genetically engineered crops. "If we hadn't had this testing by EPA, we would have never known about this," Jaffe said. A smaller biotech company, ProdiGene Inc., was fined last year by the U.S. Department of Agriculture for mismanaging corn field trials in Iowa and Nebraska. Pioneer's experimental corn was engineered to be toxic to an insect pest. Pioneer's two test plots fall under the jurisdiction of different agencies. The EPA was responsible for the first site because it exceeded 10 acres and involved a crop engineered to kill pests. The agriculture department oversaw the second plot, which was less than an acre. USDA spokesman Jim Rogers confirmed that the department was investigating Pioneer but declined to comment further. Pioneer spokeswoman Courtney Chabot Dreyer said the company believes it complied with the requirements of its USDA permit and is cooperating with the investigation. The seed corn was growing within an acre of the USDA-regulated plot, she said. At its annual meeting on Thursday, April 24th, Monsanto's top brass will greet shareholders with a dismal financial report, (a 15% drop in annual sales - $4.7 billion in 2002, down from $5.5 billion in 2001) and a shareholder resolution that urges the company to re-think the safety of genetically engineered seeds - now the company's flagship product. But there's potentially more troubling news - a little known position paper that could rattle shareholders, irk investors and erode public confidence still further in the biotech behemoth: Despite its 1999 pledge not to commercialize Terminator technology, Monsanto has recently adopted a positive stance on genetic seed sterilization, a technology that has been condemned by civil society and some governments as an immoral application of genetic engineering. "If Monsanto is reversing its public pledge on Terminator, it will be perceived as a colossal corporate betrayal of the public good - just one more example of corporate greed and fickle governance," explains Hope Shand, Research Director of ETC Group, "Market confidence in biotech is already low - it could evaporate if Monsanto violates its public pledge on Terminator seeds." ETC Group, formerly known as RAFI, is one of hundreds of civil society, farmers and indigenous peoples organizations worldwide that has called for a ban on Terminator as an anti-farmer, anti-diversity technology that, if commercialized, would prevent farmers from saving seed from their harvest. Monsanto's new pro-Terminator position came to public light when the Lyon-based International Seed Federation (ISF) released a position paper on Terminator or GURTs (genetic use restriction technology - the scientific name for Terminator) that defends the potential benefits of genetic seed sterilization and extols the theoretical virtues of Terminator for small farmers and indigenous peoples. Co-authored by Monsanto's Roger Krueger and Harry Collins of Delta & Pine Land (D&PL), the ISF position paper on Terminator was prepared for a February 19-21 meeting of an Expert Panel convened by the United Nations' Convention on Biological Diversity (CBD) that met to discuss the implications of Terminator technology for small farmers, indigenous peoples and local communities. "It's not surprising that the International Seed Federation is coming out in favor of a technology that is designed to maximize seed industry profits," said Jim Thomas, Programme Officer of ETC Group, "but it's alarming that one of the authors of the paper is an employee of Monsanto - the multinational Gene Giant that, in response to overwhelming public opposition, pledged in 1999 not to develop genetic seed sterilization." In October 1999, Gordon Conway, President of the Rockefeller Foundation addressed the Monsanto Board of Directors and urged them to abandon pursuit of Terminator seeds. Then-Monsanto CEO Robert Shapiro responded in an open letter to Rockefeller, in which the company pledged "not to commercialize gene protection systems that render seed sterile. "(1) Since Monsanto made that pledge, the company was acquired by pharma giant Pharmacia, and then spun-off again as a separate company. Shapiro is long gone, Monsanto's new CEO resigned in December 2002, and there appears to be a total loss of corporate memory on Terminator. Silvia Ribeiro responds to the ISF position, "It's difficult to understand how Terminator could offer more choice to farmers, especially given the fact that Monsanto's genetically engineered seeds already account over 90% of all biotech seeds planted worldwide. That's not more choice, that's oligopoly!" Now that Monsanto is publicly spearheading the seed industry's pro-Terminator campaign, will it resurrect a program to develop Terminator seeds? Or is Monsanto simply hoping to pave the way for other companies to take the first step in commercializing the controversial, anti-farmer technology? D&PL, the company that co-authored the ISF paper with Monsanto, has publicly vowed to commercialize Terminator technology, and jointly owns three Terminator patents with the US Department of Agriculture. Is Monsanto testing the waters for a future acquisition of Delta & Pine Land? The first attempt was botched at the end of 1998, when Monsanto pulled out of its announced merger deal with D&PL, in large part due to the Terminator seed controversy. "If Terminator is commercialized under the guise of biosafety, we know that it will be incorporated in all genetically engineered seeds," explains Silvia Ribeiro of ETC Group, "Seed sterility is the ultimate monopoly-maker. With sterile seeds, the Gene Giants have limitless control over plant germplasm, with no expiration date, without patents or lawyers." With Monsanto's annual meeting taking place on April 24th, shareholders should demand corporate accountability for Monsanto's public promises. Where does Monsanto really stand on Terminator? Will Monsanto's shareholders get the straight story on the company's position? Following a frosty reception in the heartland of the US for Monsanto's genetically engineered wheat, and a tough-sell for GM seeds worldwide, Terminator could be the seed that breaks the Mammoth's back. Harry B. Collins and Roger W. Krueger, "Potential Impact of GURTs on Smallholder Farmers, Indigenous & Local Communities and Farmers Rights: The Benefits of GURTs," p. 1. Paper made available to the CBD's Ad Hoc Technical Expert Group on the Impact of GURTs on Smallholder Farmers, Indigenous People and Local Communities, February 19-21, 2003. The paper is presented as the official position paper of the International Seed Federation.